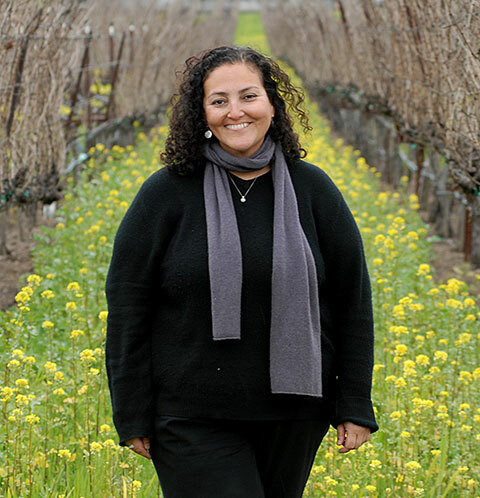 One of the things that Elizabeth loves is the close relationships that exists between winemakers in the valley. So many influences I can’t just name one: Peter Luthi, winemaker at Trefethen followed by Doug Fletcher and Leilah Backhus at Chimney Rock. The greatest challenges of being a winemaker and a GM is wearing many hats and always having many balls up in the air. Cultivating excellence means leading a winery that not only makes excellent wine but one that is sustainable and responsible in its environmental imprint. Also, one that fosters a rich environment and positive culture from a human standpoint. I want consumers and employees to love our winery equally. One of the things that I love is the close relationships that exist between winemakers in the valley. We all celebrate each other’s successes. I truly don’t feel like it is a competitive place. We are Napa Green certified in both our vineyards and winery. We foster an environment that is helping our employees be green at work and at home. We encourage professional and personal development so that our employees can grow to be leaders and help this beautiful industry thrive. Our winery is part of the Napa Valley story. We’ve been around for 35 years, and to be on our property is to feel and hear the story viscerally and the story of the Stags Leap District AVA. It is also a multi-generational family owned winery, and we are proud of that. My grandfather who was a farmer and never got to know that I do this for a living, Tony Terlato and my peers from UC Davis who I feel I have grown up with in many ways. Work hard, be humble and I can’t say it enough: work hard. I want consumers and employees to love our winery equally.